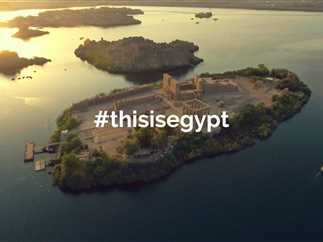 A large number of social media activists and followers on Facebook, Twitter, and Instagram are trending the #ThisisEgypt hashtag on Saturday after the Giza tourist bus terrorist attack. A large number of Egyptians on social media websites used the famous hashtag to support Egyptian tourism, publishing pictures of international celebrities in Egypt including Argentinian football star Lionel Messi, Hollywood actor Will Smith, US First Lady Melania Trump, and American actor and activist Danny Glover. Some used phrases such as “Down with Terrorism”, “Egypt will remain strong” and images from historical places such as temples, pyramids, museums, the Nile alongside various resorts. An explosive device exploded next to a tourist bus carrying 14 Vietnamese tourists, a driver, and a tour guide on route to the Giza pyramids on Friday, killing three tourists and the Egyptian tour guide and injuring the driver and 11 passengers.